The apex court had on October 30 cancelled the bail of the former MP from Junagadh till the examination of eight key eye-witnesses. Ahmedabad: Former Gujarat BJP lawmaker Dinu Bogha Solanki, an accused in the 2010 murder case of RTI activist Amit Jethwa, surrendered before a CBI court today, nearly a week after the Supreme Court cancelled his bail. Soon after his surrender before the special CBI court of judge K M Dave, he was taken to the Sabarmati Central Jail here. After the key eye-witnesses are heard, Solanki will have to remain outside the state while other witnesses are re-examined, the Supreme Court had said in its order. The Gujarat High Court had ordered retrial in the matter, which was challenged by Solanki in the apex court. Solanki is the prime accused in the murder case of Mr Jethwa who was shot dead in broad daylight outside the Gujarat High Court premises in July 2010. 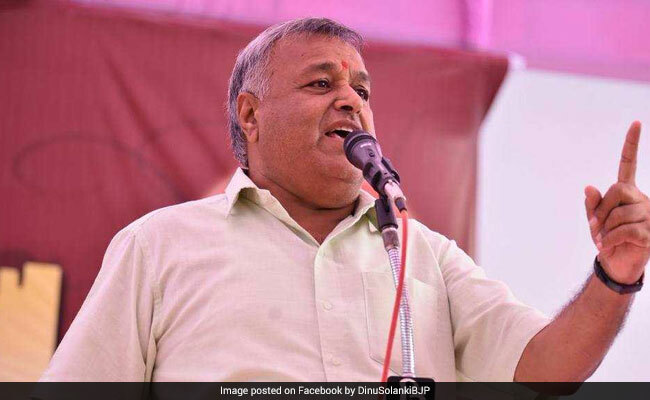 The CBI had chargesheeted Solanki, who represented Junagadh constituency in the Lok Sabha at that time, in the case along with six others including his nephew Shiva Solanki and sharp-shooter Sailesh Pandya. The Supreme Court had in February 2014 granted him bail while considering the fact that the probe agency had submitted a supplementary chargesheet and the trial was likely to take a long time. Mr Jethwa had filed numerous RTI applications and a PIL in the High Court against illegal mining in and around Gir forest sanctuary. The case was transferred to the CBI in 2012 by the Gujarat High Court after Mr Jethwa's father alleged no action by the state police.